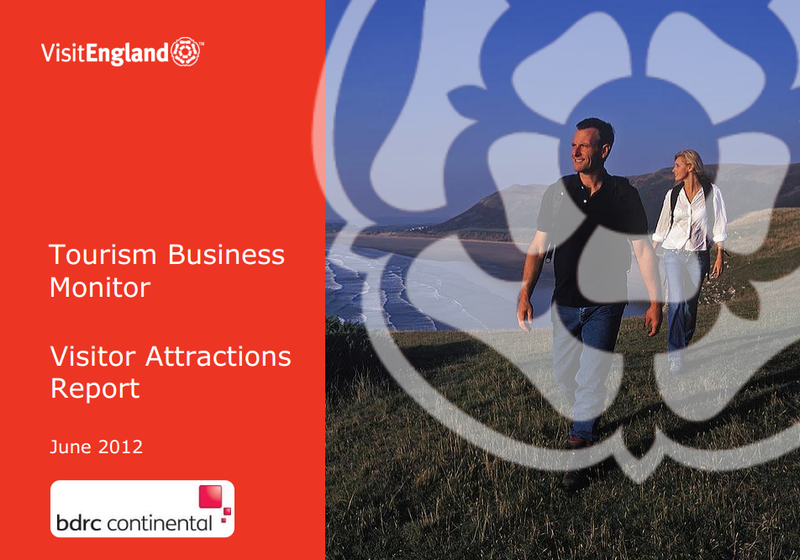 VisitEngland has just launched a Tourism Business Monitor Visitor Attractions and Accommodation Report. At key times of the year, VisitEngland asks a sample of c. 500 accommodation providers and c. 300 visitor attractions in England to report their performance in the most recent period and their expectations for the coming months. They also include a number of different “hot topic” questions in the survey to collect information about topical issues and any other areas that may affect performance. A variety of accommodation and attraction types are included in the survey. I haven't got past the front cover yet though. Can anyone tell me what might be wrong with it?